THOUSAND OAKS, CALIF. — Authorities have identified the gunman who killed 12 people late Wednesday during an attack at a southern California bar and dance club as 28-year-old Ian David Long. Ventura County Sheriff Geoff Dean told reporters Long was a former U.S. Marine who had minor encounters with law enforcement in recent years. Dean said officers responded to a disturbance call at Long’s home in April and Long “was somewhat irate, acting a little irrationally.” Mental health personnel spoke with Long, Dean said, but they did not feel he qualified for detention under a state law. “We believe he shot himself. When the officers went in and made reentry, they found him already deceased,” he said. The mass shooting occurred after Long entered the club armed with a handgun and possibly a smoke bomb. The club was hosting a “college night” event at a country music bar at the time of the shooting. “I told his wife he died a hero,” Dean said. 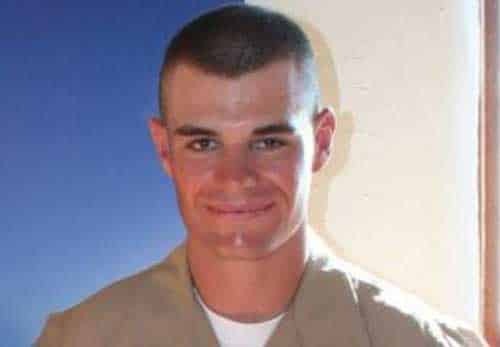 2010 Facebook image of Borderline shooter Ian Long. There were multiple people injured in the attack as well, but Dean said the exact number was unclear because a number of them had taken themselves to hospitals for treatment. 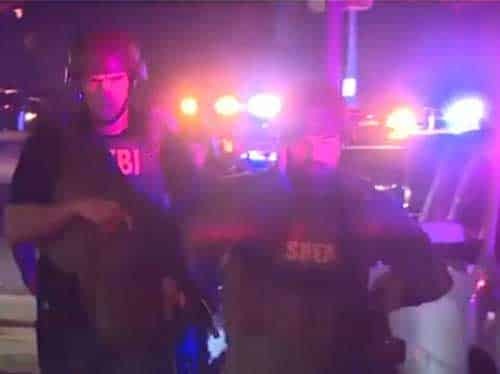 Investigators are working with the help of the FBI to determine the identity of the shooter and a motive for the shooting. President Donald Trump wrote on Twitter early Thursday he has been “fully briefed” on the shooting, applauded the response of law enforcers and extended blessings to the victims and their families. Dean said the suspect was found dead inside the bar with a gunshot wound, but that it was not clear who had fired that shot. Eyewitnesses described a scene of chaos as shots rang out in the dance club and patrons scrambled to seek cover and escape. The shooting comes days after a gunman massacred 11 people at a synagogue in Pittsburgh, Pennsylvania. The suspect in that case, 46-year-old Robert Bowers, has pleaded not guilty to federal charges. Prosecutors are seeking the death penalty.